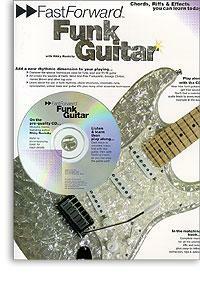 FAST FORWARD, FUNK GUITAR. CD TAB. By Rikky Rooksby. For Guitar Tab, with chord symbols. Soul, Funk, Rock. Sheet Music and Audio CD. 64 pages. 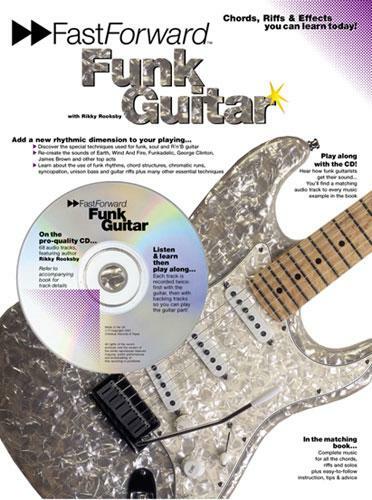 This unique book and 68-track audio CD pack will change the way you 'feel' rhythm, introducing you to a whole new range of styles and techniques that characterise funk guitar. Developed out of a mixture of soul styles and R'n'B in the Sixties, funk came to prominence in the early 1970s and continues to influence modern acts, such as the Red Hot Chili Peppers. Learn classic funky grooves in the style of James Brown, Jimi Hendrix, Jimmy Nolan and the Motown brigade.